Okay, let me start off by saying something blunt. I hate Real Estate. Hate them. I feel like they’re the Coldplay to Deerhunter’s Radiohead. By this, I mean that they take everything good about Deerhunter and water it down for casual listeners to embrace and feel good about. It’s a mess of cutesy arpeggios, clean production, and vocals that substitute reverb for fog and depth. It’s Rote Indie Rock, much as Coldplay became the insufferable face of Rote Alternative Rock. There’s too many places on Fading Frontier that sound like Real Estate. Too many moments where the haze seems to have been surgically scrubbed clean in some over-stuffed pricey studio. You invited some guests to provide music on this album, which would normally be a nice change of pace. However, in inviting members of Stereolab and Broadcast, you’ve ensured that this album, besides “All The Same” and “Snakeskin”, is powered mainly by drum machines and synths. You have, in Moses Archuleta, one of the finest drummers of the indie rock era, and yet you choose to go the route of bands that, god love them, are not Deerhunter. Instead of songs full of weird noises that are powered by hooks that you’ve made your name on, they’re mushy, meandering tracks that meld together and prove to be utterly forgettable. Out of nine songs, the two I’ve mentioned above are the only ones worth mentioning ten minutes after the end of the album. The fifteen minutes between “Breaker” and “Leather And Wood” are easily the worst fifteen minutes in either the Deerhunter or Atlas Sound discographies. Look, I get it. You had a car accident and it gave you a new perspective on things, or some such mythos-making. It really just sounds like you decided that you wanted to abandon why people fell in love with you in the first place in favour of maybe making it onto terrestrial radio, as though that’s something people still want to do in 2015. 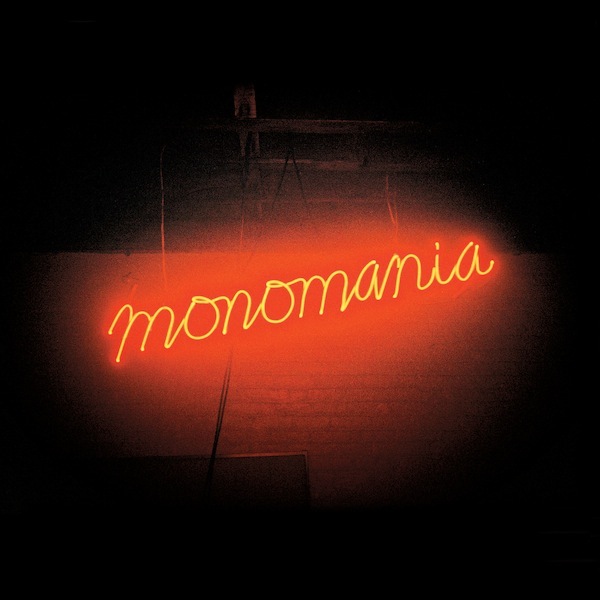 Of course, Monomania just barely missed hitting the Top 40 and it was much better than Fading Frontier – it was noisy, it was passionate, there was some real rock n roll sentiment framing the songs. Fading Frontier has none of that. You abandoned the leather jackets and pyschotropics for…sterile synths and slick mainstream acceptance? I’m sure it works for some people, Bradford, but it sure as hell doesn’t work for you. So, as it turns out, I’ve been worrying about this album for absolutely nothing. I’ll admit: the title track/first single did not inspire confidence in me. While the track has since grown on me, I had visions of a more streamlined, mainstream-oriented Deerhunter, built for play on terrestrial radio. While this is about a quarter true, it’s not as big a deal as I’d fretted about; it’s more streamlined, sure, but it’s still very recognizably a Deerhunter album. However, where previous pinnacles of 2000s underground rock like Microcastle reveled in hazy drifts of experimental noise and the filtered, dreamy vocals of frontman Bradford Cox, Monomania places the sonics front and center. This is really the only immediately off-putting feature of the entire record; once “The Missing” kicks in you realize that nothing has really changed about the band’s fundamental sound. There is still the insistence on looping, hypnotic riffs and sighing vocal melodies; it’s just the presentation that’s shifted to the forefront. The signature gallop of “Sleepwalking” could be slotted directly onto Weird Era (or, really, Microcastle’s “Nothing Ever Happened”) and I swear that I heard “T.H.M.”‘s primeval ghost floating around the middle of Halcyon Days. Bradford Cox brings about the most direct change – the effect of cutting the summery haze from his vocals is jarring but oddly satisfying. For the first time, the band approaches what could almost pass for a traditional rock and roll type of sound. “Pensacola” is a great example of this kind of change: the way the guitars play off of the drums is classic Deerhunter, but with a subtle difference that actually summons Neil Young out of his hoary past and makes him dance with Cox like they were upstate New York hippies on some private stretch of drug-addled land. It’s like Deerhunter covering the Grateful Dead covering Deerhunter (check out the beginning of “Dream Captain” and tell me differently), or, in the case of the punishing “Leather Jacket II”, the best moments of Black Rebel Motorcycle Club with the storm and explosion of Slaughterhouse-era Ty Segall. Deerhunter sells their souls to rock and roll? It’s a bold strategy, Cotton. Let’s see if it pays off for ’em.